Milan Vukmirovic has taken good care of Trussardi since we took over a few years ago. 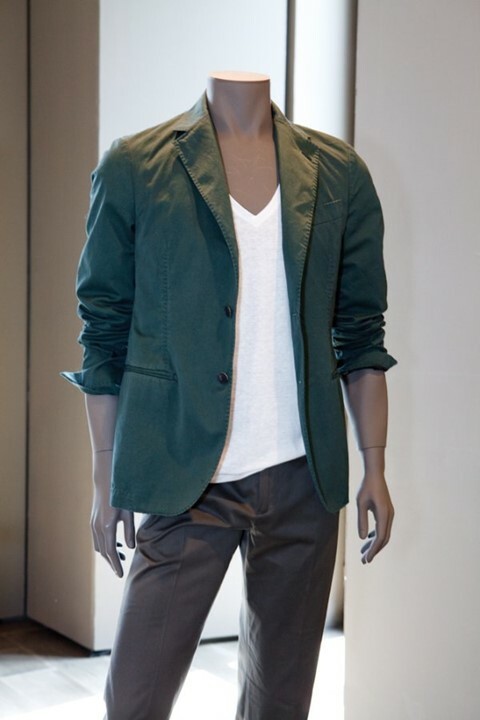 At his SS ’11 presentation, Vukmirovic showed what he and his iconic brand does best; luxurious clothes with attitude. Suede and leather were used for biker and army inspired jackets, but a sharper edge was added by choosing leopard and military camouflage patterns. The army pattern was adopted a while back as monogram for Trussardi – a welcome change to logos! The strong urban look added youthful feelings to a brand, which celebrates 100 years of trading in 2011. This was also highlighted by the superb sunglass collaboration with the Charmant Group. Drawing inspiration from 20-year-old films and music, Vukmirovic have succeeded in anchoring the brand in cultural references that are today more relevant than ever. Dazed Digital: What sort of things did you look at for influence? DD: Describe your mixture of print and patterns! Milan Vukmirovic: The black and white Native American print, which is a favourite of mine, is actually also quite 90’s in black and white. The army camouflage is my Trussardi monogram. And leopard I used because fashion is about having fun, and leopard prints are always on the limit to kitsch, but I think it looks cool on a wallet or a belt. DD: How would you sum up the brand? DD: What piece would you buy for yourself as a Trussardi customer? Milan Vukmirovic: The army canvas in leopard print!